Is Composite Veneers Removal Possible? I’m wondering if it’s possible to have composite veneers removed. At this point, I’m kind of on the fence about getting them. I really like the idea of making my smile more “Hollywood” and I have a career where my appearance matters quite a bit. I think this is something that will kick me up a notch and make me feel good about my teeth again. The thing is, I’m not really 100% sure I want veneers for life. I almost want to “test drive” them, to see if they look and feel good. It’s my understanding that they’re permanent, but I’d sure like the option of removing them later if I don’t care for them, or maybe going all in and having porcelain ones done at a later date if they work well. That would require removal as well, yes? I’m a little afraid to pitch this to a dentist because I’m afraid if I tell him I might not keep them, that he’ll either be insulted or put less effort into them because I’m considering them as a temporary measure. So, my questions are: can they be removed later, and if so, how do I bring this up with a dentist? Whether or not they’re removable depends on how the dentist does the preparation and your particular case. In some situations, they can be done with little or no removal of tooth structure. If this is the case for you, then removing them later, either to go back to your natural teeth or to switch to porcelain won’t be a problem. However, sometimes it is necessary to remove a bit of the enamel. If a significant amount is removed, then your teeth won’t look right without coverage, they could be sensitive, and they’d be more susceptible to decay. It’s good that you’re addressing this before composite veneers are placed because the dentist who does the work may be able to work with this in mind. 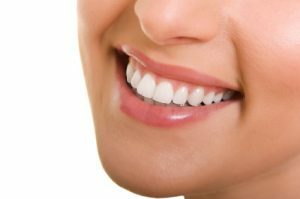 At the same time, you’ll really want to seek out the help of an experienced cosmetic dentist, as the additional training and experience he has will produce superior cosmetic results every time. It won’t matter if you plan to have them for a month or for years- he’ll make sure you leave with a gorgeous smile and will listen to your goals and wishes before presenting options. This blog is sponsored by Uveneer, maker of the innovative composite veneers template system for dentists.